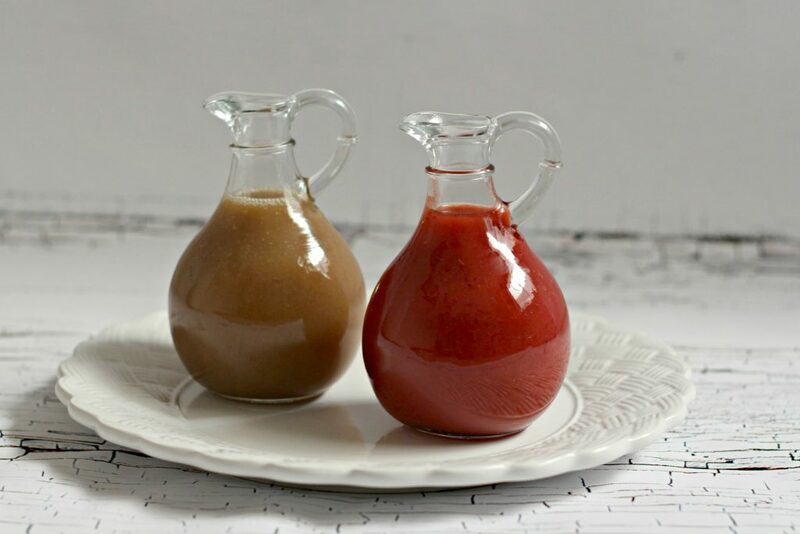 Delicious Flavored Syrups for breakfast and beyond. I have a confession to make. I don’t like maple syrup – flavored or real! I’m sure my Canadian son-in-laws would be disgraced to hear that since it’s like a food group to them. Anyway, when my friend gave me the recipes for some flavored syrups I just had to give them a try. Since hubby makes a nice big breakfast at least one a week we go through these delicious syrups pretty fast. Maybe because we also use them as dessert toppings. Once you taste them you won’t blame us. Combine these 3 items in a saucepan on the stove until boiling. Turn down and simmer for 10 minutes. Add the water and corn starch mixture. Blend well. Take off heat and let cool before serving. Refrigerate leftovers. This is delicious on ice cream, cheesecake, fresh bread, and in smoothies. I also used this on a dessert tray to dip cookies, cakes, and brownies. Serve warm. Syrup will thicken as it cools. Refrigerate leftovers. This is delicious on ice cream. 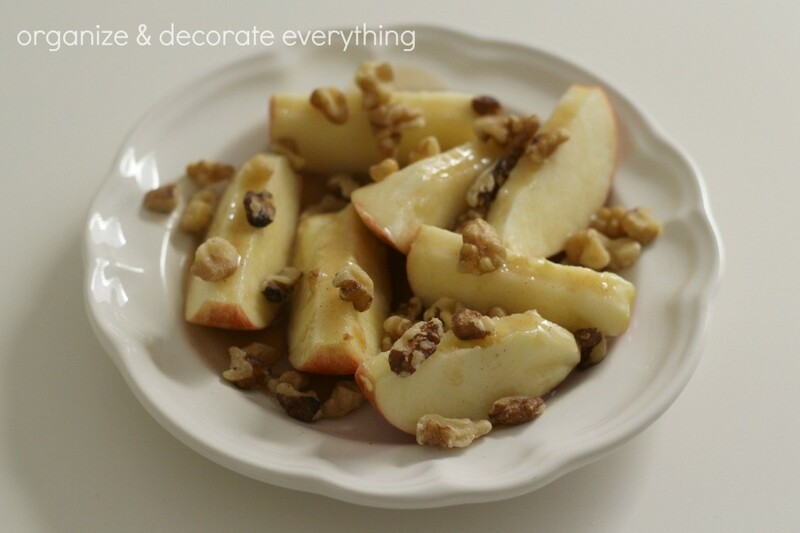 You might also want to try it on bananas and apples with nuts sprinkled on top. Both syrups can also be stored in the freezer for up to a year. 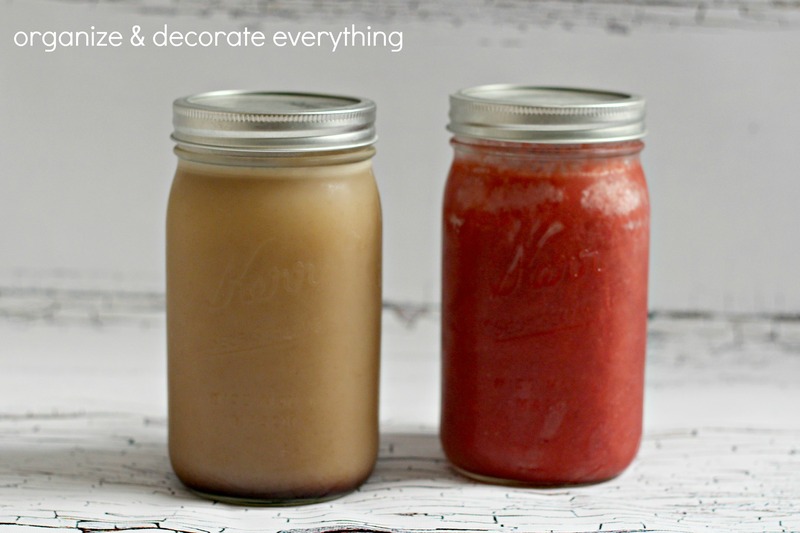 I freeze them in mason jars. Both of these syrups are very good, but the cinnamon syrup is very sweet if you prefer that. 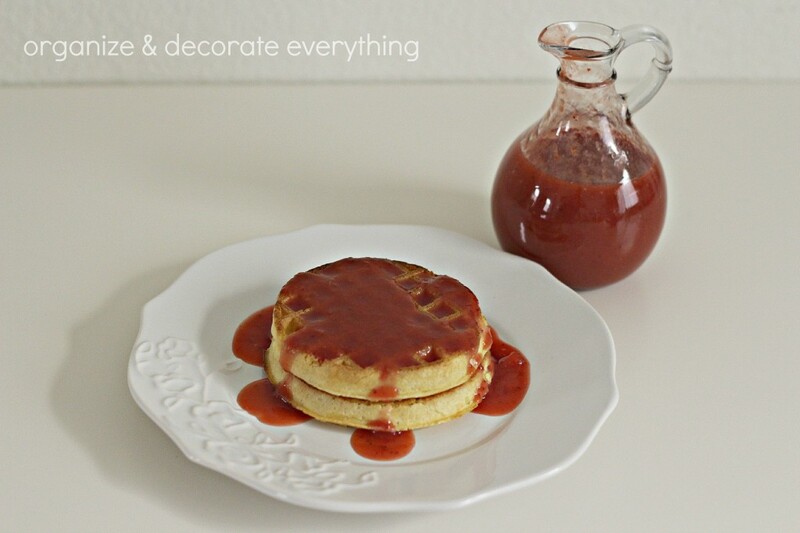 Hubby likes the strawberry syrup best on waffles and the cinnamon syrup on french toast. Of course, I love them both. Give them a try and let me know your favorite. I think you’re the first person I’ve heard who doesn’t like maple flavor anything like me! Thanks for some great syrup ideas! That cinnamon syrup sounds so good! I make maple all of the time but never thought to add some additional flavors into the mix! That Cinnamon syrup sounds divine. 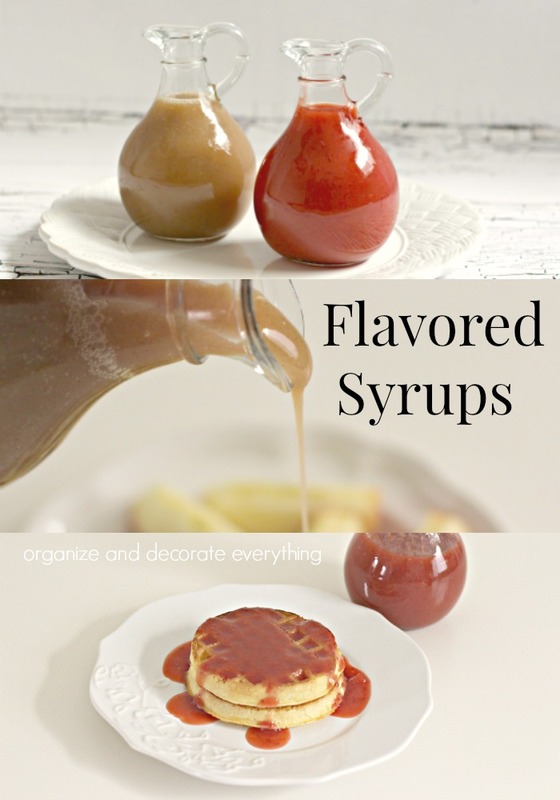 I absolutely love this idea for syrups! These sound amazing! 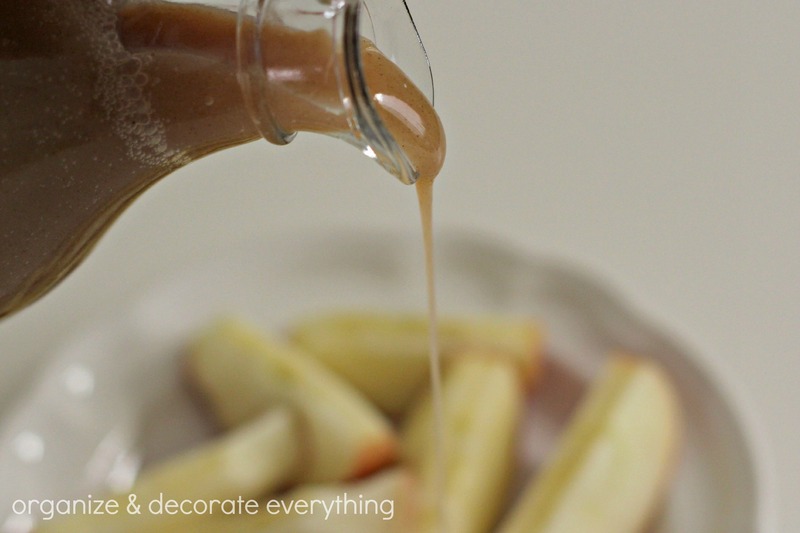 I haven’t ever made my own syrup before, but if it is this easy I might as well give it a try. Thanks for the recipe. Oh my. I have a weakness for cinnamon. Need to try this on my next waffle. Yum! Oh, how tasty are these? I bet my girls would love that strawberry syrup, and I love your idea of using the cinnamon on apples.